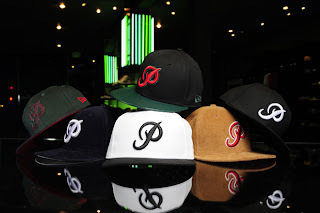 Primitive unveils some of their New Era Holiday 2009 59Fifty fitteds. Among the collection are two Nike inspired colorways revolving around the Gucci Dunk SB. The assortment also features a few thin wale corduroy fabric combinations. 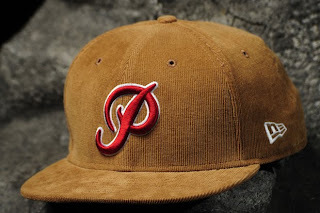 Primitive continues to knock out eye popping colorways whether in the form of fitteds, sunglasses, tees or accessories. Stand out is the red and white on beige fitted. 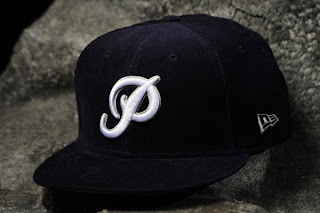 No word on price point as of yet but current Primitive fitteds retail for $34. I would suspect that these will be slightly more expensive due to a few modifications that took place from their last round of hats.